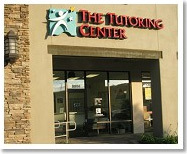 Tutoring Center children’s franchise business opportunity. 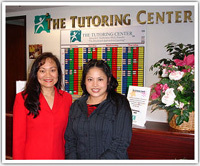 Free Tutoring Center children’s business franchise information. With the growth of supplemental education in the <?xml:namespace prefix = st1 ns = "urn:schemas-microsoft-com:office:smarttags" />United States today, THE TUTORING CENTER is a great choice for a new career. If your dream is to enjoy a fun and rewarding work environment, while enriching the lives of children, consider a TUTORING CENTER franchise TODAY! Education and after-school learning is one of the most important growth industries in the United States. Helping children in your community achieve academic success, motivation, and confidence is an incredibly rewarding experience and continues to be one of the most important issues facing our country. The market for supplemental education is growing. With the "No Child Left behind Act," the financial opportunity this represents for our franchisees is very rewarding. If you're considering investing in a franchise, supplemental education is a worthy business to consider. Between 1995 and 2001, Market data Enterprises, a Valley Stream, New York research firm, ranked the 12 most promising markets for franchising. The Tutoring Center’s franchise opportunity is unique because you have the ability to change the lives of children while investing in your future. What could be more worthwhile than that! Running one of our centers is a personally rewarding and enriching business opportunity. You can create a lifestyle for yourself that positively influences the lives of children in your community. In other words, "you'll make a difference!" We take great pride in creating a positive relationship with our franchisees. It's important to us that we create an environment of teamwork. We work with our franchise owners to make the entire company more successful. How do we give our Franchise Owners Operational Support? Once you become one of our Franchisees, we provide you with a comprehensive support system. Guidance with Center Location and Build out: You will be given an Operations Manual after you sign your Franchise Agreement. The Operations Manual contains information on how to locate, design and open your center. We provide you your start-up inventory so you can open your center efficiently: We supply you with your start-up educational inventory, supplies, equipment, and furniture. You will be provided a list of some items that you will purchase on your own. These items are listed in the UFOC. Training: Besides our comprehensive operational support system, new franchise owners go through an intensive, highly focused 2-week Orientation Program including such topics as Academic Programs, Running your Classrooms, Running your Front Office, Marketing your Center, hiring employees, and Customer Service. Multimedia Interactive Operational Support: We will provide ongoing operational support with our Multi-Media Interactive Training program. You will receive answers to your questions via telephone, e-mail, iChat, and other electronic media. You will also receive ongoing support with newsletters, training seminars, and conventions. We are there to offer help, advice, support and assistance every step of the way. Are you the Type of Person we seek to Join our Team? You will probably ask yourself what qualifications you need to be awarded one of our franchises. It's important for you to know that having a degree in education or experience in tutoring is not necessary. We look for a high level of energy and enthusiasm, a love for people (especially children), a drive to succeed, a passion for high quality, and a strong commitment to service. Having previous business experience is a strong plus. Owning one of our franchises can be an extremely gratifying opportunity, but it's not for everyone. To help you discover if you are the type of person we seek to join our team, take the following short quiz. If most of your answers are "Yes," you may be a perfect fit for our company. Do you fit THE TUTORING CENTER Profile? Are you interested in a business that has a positive impact on the children of your community? Do you have a strong desire to own a business dedicated to quality customer service? Are you willing to devote a full-time effort necessary to build your business? Are you willing to follow a successful and proven system? Do you have a reputation for integrity and honesty in your business and personal relationships? Are you willing to make the necessary financial commitment to be successful? Do you have a high level of energy and enthusiasm? Do you have a willingness to learn? If you believe that owning a The Tutoring Center franchise may be right for you, and if you qualify, you may be among the select individuals to be included in our team. We applaud you in your investigation into this challenging and rewarding industry. We welcome you to find out more about the requirements and expectations of becoming one of the Tutoring Center’s franchise owners. You can be involved in a business that makes a difference in the lives of children. What a great and rewarding experience that is. To learn more about the Tutoring Center children’s franchise opportunity, simply complete the form below.